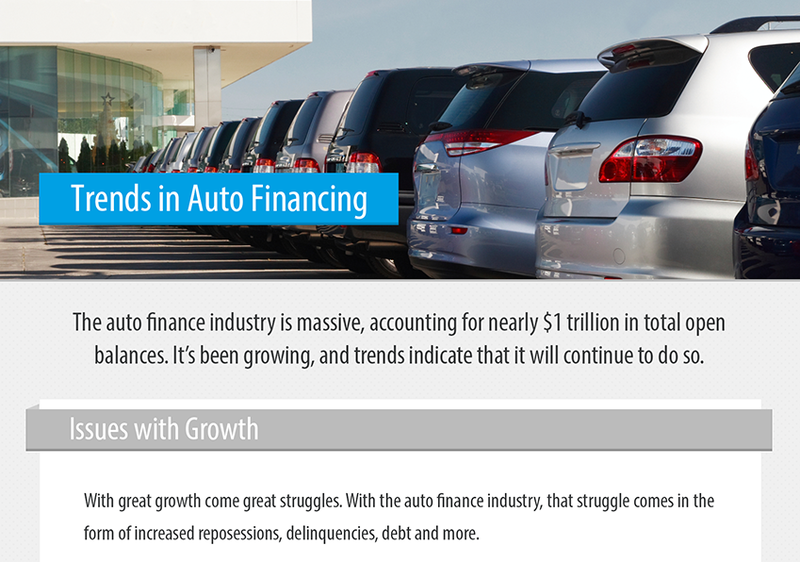 Without a doubt, the auto finance industry is huge, and it’s only getting bigger. However, with a varying amount of delinquencies, debt and repossessions, the industry isn’t without its flaws. Changing regulations, new fees, and other potential concerns can also have a large impact on the performance and health of the industry. In our infographic, you can learn more about the various trends that are currently happening within the auto finance industry, including new ways that can help lenders get paid while keeping possible issues to a minimum.